The truth is, every golfer would like to their ball fly a bit higher and go a little further – this is particularly true when it comes to beginners, and medium to high-handicap golfers, that tend to miss the sweet spot more often. If you feel this way, too, you’ve come to the right place. Which Clubs are Usually Found in a Golfer’s Bag? How to Tell if a Golf Club is Forgiving? If you’re new to golf and someone told you that buying a set of forgiving golf clubs is your best bet, you might be left wondering what exactly did they mean. We’re here to let you in on a secret language of golfers; when a golf club is forgiving, that merely indicates it has specific design features that will forgive you for some of the mistakes you make on the golf course. 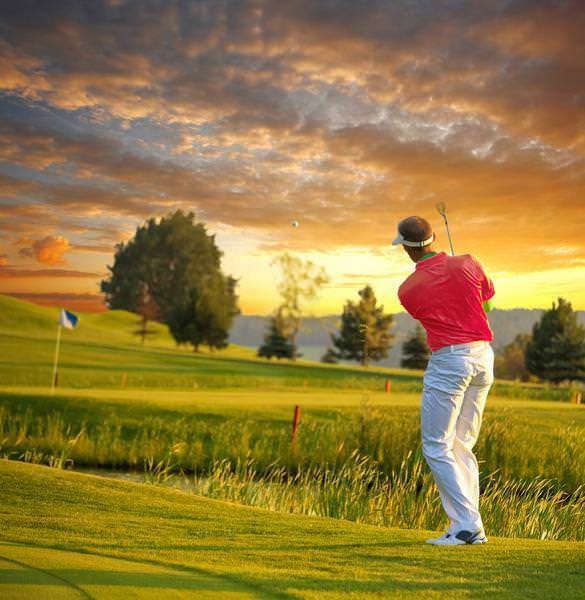 The higher your handicap, the more forgiveness you’ll need in your golf clubs. Even though golf clubs that are made to offer a lot of forgiveness to a player can technically be called „game improvement clubs,“ you’ll still need to put in a lot of effort into improving your shots. It all comes down to perfecting your contact with the ball and lessening the chances of hitting it off-center (in the world of golf, this is called „missing the sweet spot“). We thought it would be a good idea to help you get a clearer picture of how many different types of clubs make up a complete golf set, just in case you’re entirely new to golf. According to USGA, a golfer is allowed to carry up to 14 clubs in his bag; of course, if you’re a beginner, you won’t need as much. 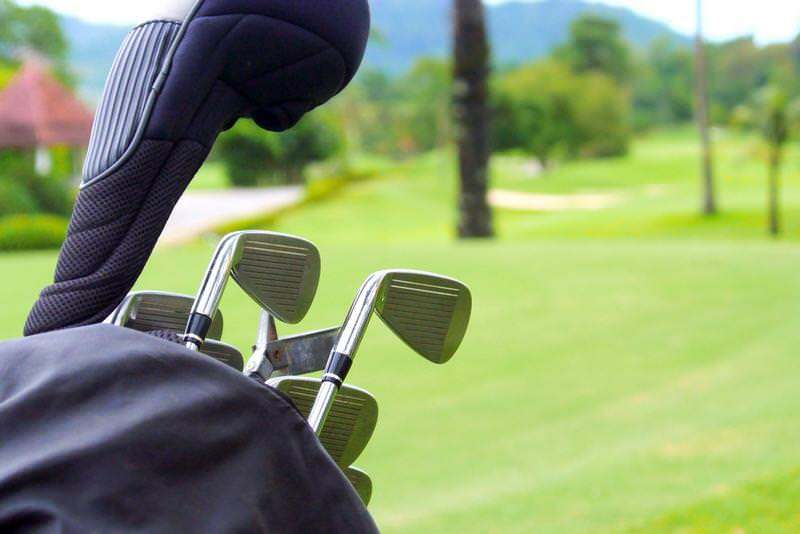 For the sake of this article, we’ll go through what can typically be found in a golfer’s bag and explain each golf club type and its purpose along the way. That is what a standard 12-piece set looks like; as we said earlier, golfers are allowed to have a maximum of 14 clubs while at the course, so what most players like to do is to include an additional Wedge (or two). Woods – Even though they don't make them using wood since the 1980s, the name persists; this category includes two sub-types, the driver, and the ﻿fairway﻿ woods. You can recognize them by their large heads (the largest of all golf clubs) that are typically hollow and long shafts. These golf clubs are used for extended shots, and every golfer should have at least three woods in their bag. Irons – Irons come in numbered sets (from 3 to 9-irons) and as the number of the iron gets higher, the loft increases, while the shaft shortens.Sometimes referred to as blades, these clubs are known for their thin heads (especially in comparison to woods) and angled faces. 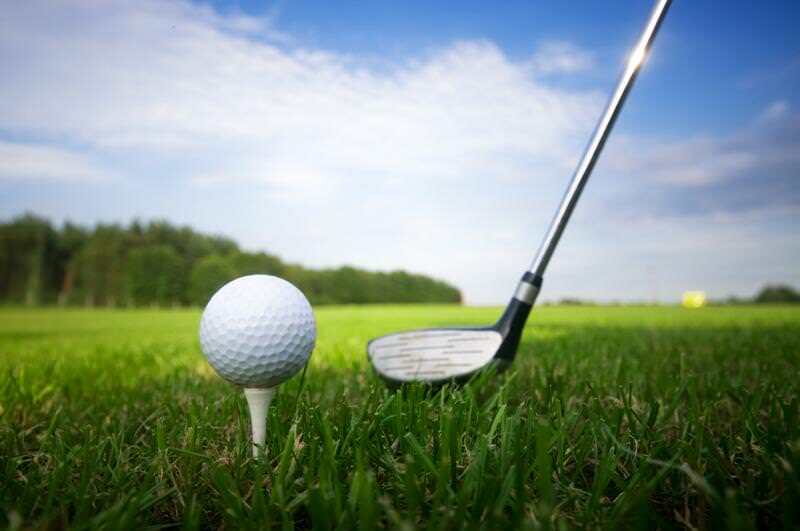 Hybrids – Hybrids are a combination of fairway woods (regarding clubhead design) and irons (regarding shaft length) and are the newest category of golf clubs – they entered the mainstream world of golf at the beginning of the 21st century. To avoid any further confusion, keep in mind these are often called “utility” or “rescue” clubs. Wedges – Even though they are, in essence, a sub-type of irons (because their club heads are similar), wedges are also considered an independent category. They are designed as blade clubs and are highest-lofted of all because these are the features needed when you get closer to the greens. There are several types of wedges – the gar wedge, the pitching wedge, the sand wedge, and the lob wedge (and ultra-lob wedge). Putters – Their name comes as a result of their purpose – these clubs are used to put the ball in the hole. As a beginner, you couldn’t even begin to imagine the diversity of designs when it comes to these golf clubs.Ultimately, that isn’t what determines your choice of putter – it’s the feeling you get when you play with them. So, what exactly constitutes as a forgiving golf club in terms of construction and design and how do you know what to look for regarding forgiveness? When forgiving golf clubs were first introduced in the golf world (in 1967), the leading innovation wa s that the weight of the club’s head was moved away from the center and distributed around the perimeter. That resulted in a much bigger sweet spot, providing a lot more forgiveness to those unfortunate off-center hits. If getting the ball off the ground is one of your significant weaknesses, you should look for golf clubs that have a back-set and low center of gravity. With the weight shifted to the bottom of the club, your ability to hit the ball and see it fly not only far, but high, too, will be significantly increased. Remember what we said about having at least one hybrid in your golfing bag? Well, the Callaway Steelhead XR Hybrid is the one to get. All beginners and golfers with a higher handicap know that hitting your longer irons, and especially fairway woods can be a bit difficult at times.That's the main reason why more and more players are turning to these clubs for help. Because they are a combination of woods and irons, hybrids are often referred to as the utility clubs; their purpose is to provide some consistency to your game. This Callaway’s club offers everything you should look for in a hybrid – it’s the ultimate „rescue“ golf club. With their many innovative features, these clubs will take good care of your shots (even the ones that missed the sweet spot) and provide a smooth launch and longer ball flight, as well as a lot of forgiveness. Let’s face it – traditional irons are not everyone’s cup of tea; if you’re a mid to high-handicap player, then you know what we mean by this. When your goal is to see the ball fly as high and as far away as possible, but you’ve not quite mastered the art of golf yet, then forgiving irons are what you’re looking for – and Callaway has your back in this. Yes, the Callaway XR OS Iron set is a bit pricier when it comes to iron sets. However, once you learn about the amount of forgiveness it offers and how customizable it is, we're sure you'll realize it would be a good investment into your future as a golfer, no matter how high your handicap level is. One of the main things that we need to mention is the outstanding Cup 360 Technology that allows some flex at impact and provides a higher ball speed; also, it cancels out the consequences of an off-center shot. For those knowledgeable on the topic of golf, forgiving fairway woods might seem impossible to imagine. Most of them would say that those terms don’t even belong in the same sentence, unless there’s a „not“ in it, too. 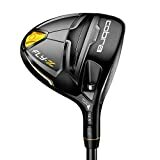 Lately, however, there’s been a rise in the tendency to make woods more approachable for high-handicap players; as a result, we have the Cobra Fly Z fairway woods. The low and back-set center of gravity is assured by the Crown Zone Weight Technology; the weight is removed from the crown of the club and set further in the back. Since it’s removed from the key areas (like the face and the hosel), the sweet spot is enlarged, allowing for more speed even when an off-center shot occurs. The MyFly8 Technology offers eight different loft settings; the issue with clubs that have an adjustable hosel is that the face approach angle inevitably alters when you adjust the loft. Cobra, however, dealt with this problem with their SmartPad Technology, which provides a square address, no matter what the loft settings are. Let’s talk about your putter; how’s your current model working out for you? If you think you should replace your old one for a new, more forgiving model, we have a putter we’d like to suggest – the Cure Putter RX4. 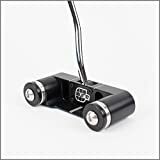 Can we just state the obvious here: when it comes to MOI, there’s probably no way any other putter you’ve ever played with that could compare to this one. Seriously, we’re talking about an off-the-charts moment of inertia. For additional directional control, you can add weight discs (up to 200 grams), and the Triangulation Alignment System will aid in visual alignment, which will improve your strike angle. Even the lie angle is adjustable (from 62 to 80 degrees); this putter offers some serious customization. On top of that, the large head with a hollowed-out face provides a sweet spot like no other. If you can use hybrids when you have a problem with playing longer irons, then why shouldn’t you be able to get a little help with your wedge game, too, right? That’s why we decided to include the Mizuno Golf S5 wedges on our list – these are one of the most forgiving wedges you’ll be able to find on the market. In case you’re having some issues getting the hang of your wedges, these are the ones to buy. Appearance-wise, the most striking feature of these clubs is their beautiful blue finish – we’re sure they will look great on the golf course, even as it gradually wears down from use. Underneath this blue skin is a wedge forged from the pure, high-grade carbon steel, that offers a solid, yet soft feel to the player. Even though these wedges do lack more bounce and grind options, this is mainly an issue for more experienced players; a beginner or a high handicapper will, however, benefit from this. Due to the versatile sole grinds, these wedges are made to provide optimal impact from an array of lies. On top of that, the large head and face of the club will give some additional forgiveness to the player. We searched the market to find the most forgiving golf club in each of the categories we’ve talked about, so there’s no way to declare the best one on our list – every single pick is the best at what it’s made to do. However, if you’re curious about which one offers the most forgiveness, then yes, we have an overall winner – the Callaway Steelhead XR Hybrid. But keep in mind that even the most forgiving golf club in the world could (and should) never replace the time and effort put into perfecting your shot. But in the meantime, you can rely on these forgiving clubs to help you with your scores.